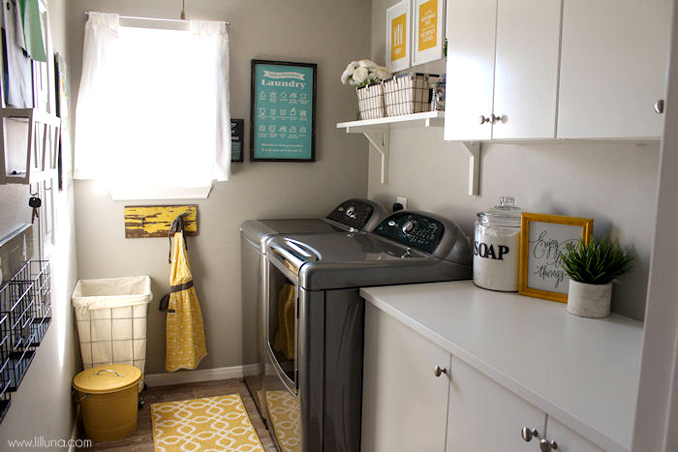 If you think about it, the laundry area is one of the most overlooked areas at home. After all, as some of us may think, why would I bother to style this space when: it's concealed and I only use it once or twice a week. Much as we would like to keep the laundry area simple and as is, we should also exert an extra effort to keep it neat and functional. Since it's a place of activity, you need to prioritize space—so you can move around freely; and storage—for all your essentials, detergents, and the like. All photos from: Lil' Luna.